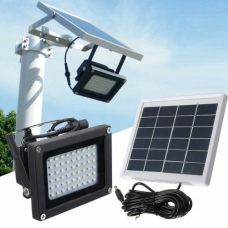 32 LED Bright Emergency Solar Wall Light with PIR Motion Sensor and adjustable lighting modes is a fully Solar Powered product that does not require any additional electric wires or other sources of energy. 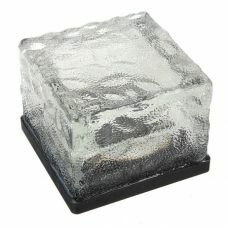 It designed for outdoor use in different weather conditions and had high waterproof level protection. The Solar Wall Light has built-in PIR Motion Sensor that turns the light on when to detect a movement or presence of people. 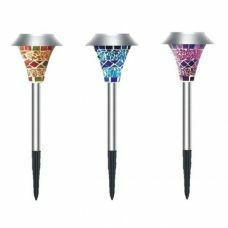 The product has three different lighting modes that allow using the wall light in different ways around a house, at a garden, a pathway, a garage, etc. 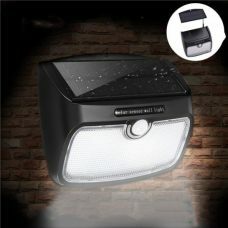 The emergency wall light can be used as a regular lamp, or as a motion detection emergency light, or even combine two of this mode in one. For example, when it is dark, the Emergency light is active with weak illumination; the Motion Sensor detects anyone approaching the door and automatically fully turns the LED lights on. Then after about 35-45 seconds it automatically turns it off and comes back to weak light sleeping mode before next motion detection. 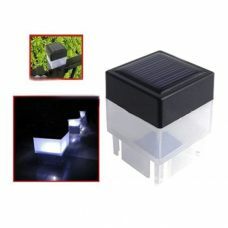 Also, there is a built-in automatic light sensor that activates Solar Emergency Light at night and put it into the charging mode during the day. That means you do not need to worry about turning the light on and off every day. 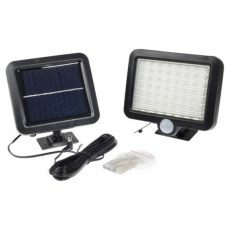 The Solar Light has pre-installed energy-efficient Solar Panel that absorbs the sun during the day and converts it into the energy. The Rechargeable Battery stores it to power the light at night. 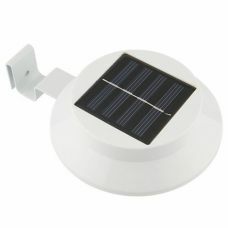 The highly-resourceful Battery is allowed to run the Solar Light with 32 LED bulbs for up to 8-12 hours when fully charged depends on lighting mode. The Wall Light is easy to install by fixing into a wall or a fence and operate. It is low-maintenance and cost-efficient Solar Product that provides outstanding performance without additional care. Just install it in the required area and enjoy with light when you need it. 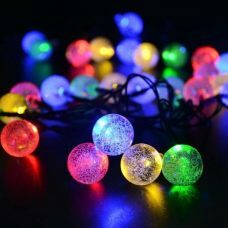 Ideal for: Lighting up specific areas that require illumination only when you need it, for example, at a garden, a backyard, a pathway, a garage, an outdoor stair, steps, a porch, etc. 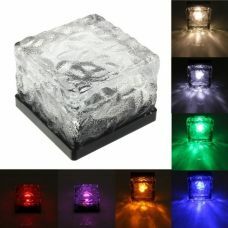 Suitable for the areas that cannot be light up with wires lights. 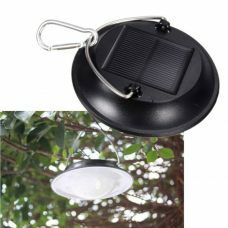 The product is perfect as emergency outdoor light and security light. 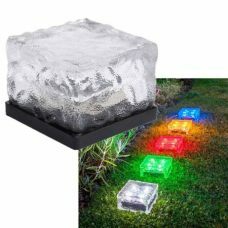 For whom: a practical person who is looking for a lighting solution for the backyard, garden, garage, etc. without additional costs, and also who feels responsibility for the future and appreciates Solar Power Clean Energy and Green Technology. Also for those who want to protect their property and maintain lighting at the same time. - Built-in PIR Motion Sensor and Automatic Light Sensor to switch between day/ night modes. - Bright 32 LED performance. - Three lighting modes: turn on automatically at night/ human body induction and passive light mode/ human body induction mode only. - PIR Motion Sensor detects a range within up to 3 meters and area of 120 degrees. - Durable construction, long lifespan. - Solar Product requires direct sunlight to absorb the most light during the day. - Keep the Solar Panel clean. i have received the item and after 6 hours - its still working. The instalation in very simple . I do hope it will last for some year.